"What you eat after you've been diagnosed may make a difference," Chan said. "There is a possibility that increasing your intake of fiber may actually lower the rate of dying from colon cancer and maybe even other causes." Chan cautioned, however, that the study does not prove that the additional fiber caused people to live longer, only that the two were associated. Fiber has been linked to better insulin control and less inflammation, which may account for better survival, he suggested. In addition, a high-fiber diet may protect people from developing colon cancer in the first place. The greatest benefit was attributed to fiber from cereals and whole grains, according to the report. Vegetable fiber was linked to an overall reduction in death, but not specifically in death from colon cancer, and fiber from fruit was not linked to a reduction in death from any cause. 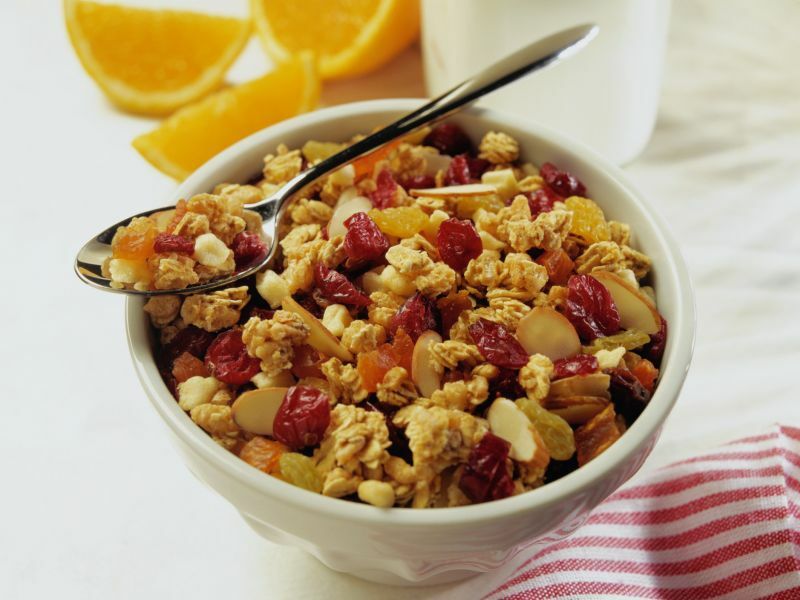 Fiber is beneficial for everyone, not just people with colon cancer, said Samantha Heller, a senior clinical nutritionist at New York University Medical Center in New York City. "Americans are getting an 'F' for fiber intake," she said. "In fact, less than 3 percent of Americans are getting the recommended fiber intake of 25 to 38 grams per day." Fiber is critical for optimal health and disease prevention, Heller explained. The fiber found in food keeps the gastrointestinal (GI) system moving, improves satiety, aids in weight management, fights cancers and feeds the trillions of beneficial microbes living in the gut and intestines, she said. "Plant fiber is the food of choice for these GI microbes," Heller noted. "Research is suggesting that when we feed them well, they keep us healthy, fight diseases -- such as cancer, heart disease, diverticulosis and multiple sclerosis -- and may even help reduce depression and other mental illnesses." Dietary fiber is found in plant foods, such as beans, whole grains, nuts, vegetables and fruits. "When you eat more plants you are loading up on fiber, vitamins, minerals and antioxidants," she said. To get more fiber in your diet, Heller suggests having a peanut butter and banana sandwich on whole-grain bread for lunch, and snack on roasted edamame or hummus and broccoli florets. Including two vegetable sides with every dinner, eating whole-grain crackers and cereals like shredded wheat, and swapping white rice and French fries for quinoa, barley, oats and faro also would help, she advised. For the study, Chan and his colleagues collected data on 1,575 men and women who took part in the Nurses' Health Study and Health Professionals Follow-up Study, and who had been treated for colon or rectal cancer that had not spread beyond the colon. Specifically, the study looked at total fiber consumption in the six months to four years after the participants' cancer diagnosis. The researchers also looked at deaths from colon cancer and any other cause. In an eight-year period, 773 participants died, including 174 from colorectal cancer. The study's conclusions are limited, indicating an association but not proof, because participants self-reported how much fiber they ate and where it came from, which means the data could have been skewed by people's memories and the tendency to tell researchers what they think they want to hear. The report was published online Nov. 2 in JAMA Oncology.